In 1991, few Sri Lankan parents started the Sunday School in Canberra to teach Sinhala language and Buddhism to their children. When the School commenced, there were only a few students without a permanent place to conduct classes using the Lyneham and Laos Buddhist temples. Since 1996, once the Sri Lankan temple in Kambah was commissioned, the Sunday School too functioned there. At present we have more than 100 students enrolled in our school. We teach Sinhala language and Buddhism. Enrolments are open for any one who is interested in learning the Sinhala language or Buddhism. The School that is held on Saturday starts at 2:30 pm and closes at 5:45 pm. Each class is 60 minutes long. There is a 15 minutes break in between Buddhism class and language class. During the break students are provided with refreshments that include biscuits and fruit juice. There are 4 Sinhala language classes. These classes are organized depending on student’s ability in Sinhala language. Class 1 is the entry level for Sinhala language. We conduct 4 Buddhism classes depending on the student’s ability. Usually Buddhism classes are conducted in English. We have well educated and experienced pool of volunteers teaching Sinhala language and Buddhism. We have 4 school terms parallel with the Canberra school calendar. The Annual concert is one of our major events in our school. 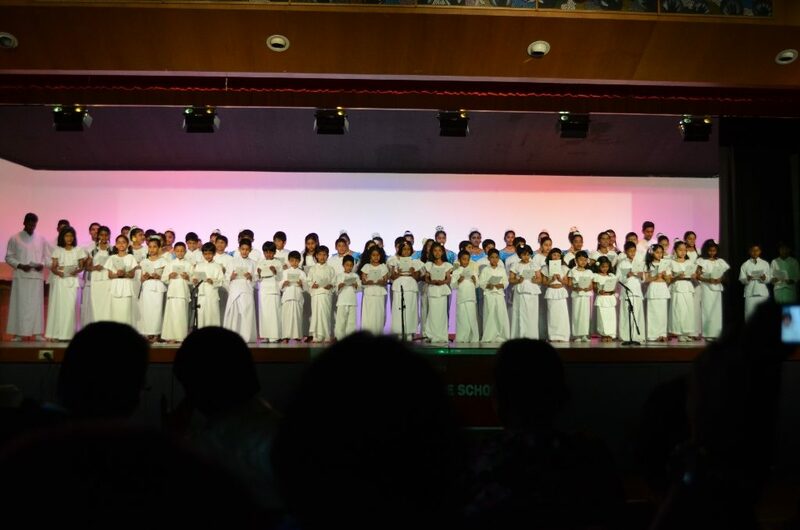 Annual concert is usually held in the 4th term of the school. Students get the opportunity to show their talents and display what they learn from school during this concert. Our school produces a magazine every year that is part of our learning activity where students can publish their letters, stories, poems, drawings etc. Our students actively participate in various ways in multicultural festivals and functions organised by the ACT Ethnic School Association.